TECT (Tauranga Energy Consumer Trust) was established under a Trust Deed on 21 December 1993 as a consequence of the Tauranga Electric Power Board's Establishment Plan. It is now one of New Zealand’s largest energy trusts. TECT’s income and capital is used to provide benefits to Consumers during the term of the Trust. Our "Consumers" (approximately 56,000) are Trustpower account holders basically in Tauranga City and the Western Bay of Plenty district.In the past 20 years, TECT has returned millions of dollars back to Consumers and the Community, supporting thousands of people and good projects throughout the district.TECT makes grants and donations to non-profit community organisations throughout Tauranga and the Western Bay of Plenty each year. The Trust makes grants in the education, arts, sport, recreation, environment, energy efficiency, heritage, health and social services areas. We take a keen and active interest in our grant recipients to ensure that the funding truly benefits the wider community. The Lion Foundation is one of New Zealand’s oldest and most respected Charitable Trusts. Since 1988 we have returned over $750 million back to the community, supporting thousands of good causes all around New Zealand.We have many Lion Foundation venues and gaming machines across the country and we consistently return millions of dollars into the community. Last year that equated to over $40 million through over 4,500 grants for community-based organisations across New Zealand. That is 11 good causes per day – causes as diverse as the people who live in those communities: from Cape Reinga to Bluff, east coast to west, rural to urban. In fact, there are few Kiwis whose lives have not been touched by a Lion Foundation grant.To reinforce our commitment to our local communities The Lion Foundation has introduced Regional Grants Committee’s which operate across the country.These committee’s ensure that we have local people making local decisions about local funds. The North & South Trust Limited was set up primarily to support amateur rugby and sport in the Auckland area. The North & South Trust Limited generates funds for its Authorised Purpose by operating gaming machines in the Auckland, Tauranga and Hawkes Bay region. Pub Charity Limited was established in 2012 to raise funds through gaming machines in hotels and taverns for distribution to grassroots community causes throughout New Zealand.All funds are raised through the support ofPub Charity Limited’s venues. 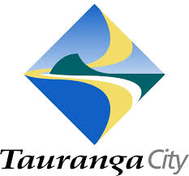 Tauranga City Council staff deliver services, facilities and projects following the direction set by elected members. The direction for staff to follow is outlined mainly in the Council's statutory documents: the Long Term Plan and the Annual Plan. First Sovereign Trust Limited is a holder of a Class 4 Operators licence. It was established in March 2011 with a primary focus to raise and distribute grants (net proceeds) to the racing industry and community throughout New Zealand. Bartercard is committed to helping New Zealand businesses grow and achieve financial success by facilitating a trade exchange network that offers dynamic and effective ways of conducting business. Although the concept of barter is thousands of years old, bartering through Bartercard is the most innovative way of combining modern technology, a community of businesses, and marketing channels to increase profits through new customers and improved cash flow. Bartercard’s world-leading innovative trade exchange system enables over 24,000 global member businesses in six countries to benefit from the cashless economy of barter. Since its inception in New Zealand, Bartercard has grown to over 7,000 member businesses across the country trading over $200 million worth of goods and services outside the cash economy each year. With commitment and tenacity, Bartercard has forged a substantial company that is today, the largest barter network in the world. Looking for the latest technology, equipment or media?? 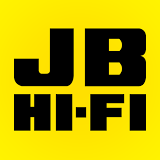 Then look no further than JB Hi-Fi Mt Maunganui!!!! Get on down to see the team at JB Hi-Fi today for the best deal in town! PAK'nSAVE Our policy is New Zealand's lowest food prices. In fact, Consumer magazine has confirmed that PAK'nSAVE provides the cheapest supermarket shopping - 11 years in a row!We achieve these low prices by keeping our costs down so that we can pass the savings directly onto you. Seeka’s fully-integrated orchard-to-market service is delivering premium produce to the world’s leading retailers and wholesalers. By being directly involved in every step of the supply chain, our market partners get a secure supply of high-quality products. Property Development Management - Veros Property Partners Veros Property Partner’s extensive experience, across New Zealand’s main centres, puts your property business in the right hands. From conception to completion, and on-going management, Veros Property Partners brings you a unique, one-stop, comprehensive property service. With a strategic focus to maximise your returns, minimise obstacles and achieve real outcomes, we bring you total assurance on all your property business. The skilled, experienced Arbor Care team has built a reputation as trusted arboriculture professionals and earned the company its place as the preferred tree carers for many people in Tauranga and the Western Bay. READY TO ROCK YOUR WORLD! - Corbett Rd Quarry Ltd We are a one stop shop in that we can provide high grade quarry rock at competitive prices. We sell and service Canon photocopiers, scanners, multi-functional devices, laser printers, large format printers, production printers,software solutions, projectors, SMART boards and more. Options available to purchase or lease your photocopier and printing equipment. 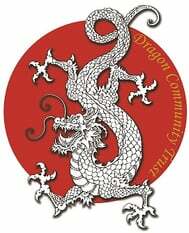 Legacy Trust Legacy Trust is a registered charitable trust and the owner of Legacy Funerals and other funeral business interests. The Trust is responsible for the management of the business operations and the annual distribution of all profits from the business for the good of the local community. Each year, the Trust makes a full disclosure of fund distribution via this website and local newspapers. What colour is a lemon?